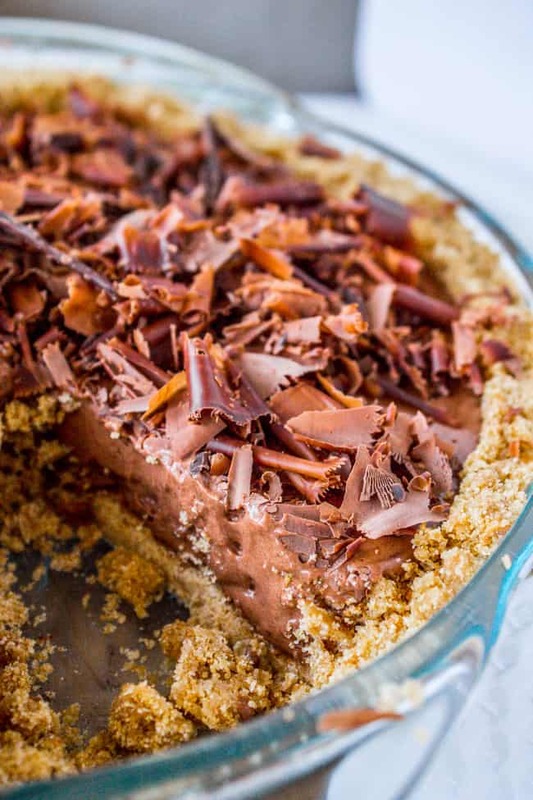 This French Silk Pie is the stuff of dreams! 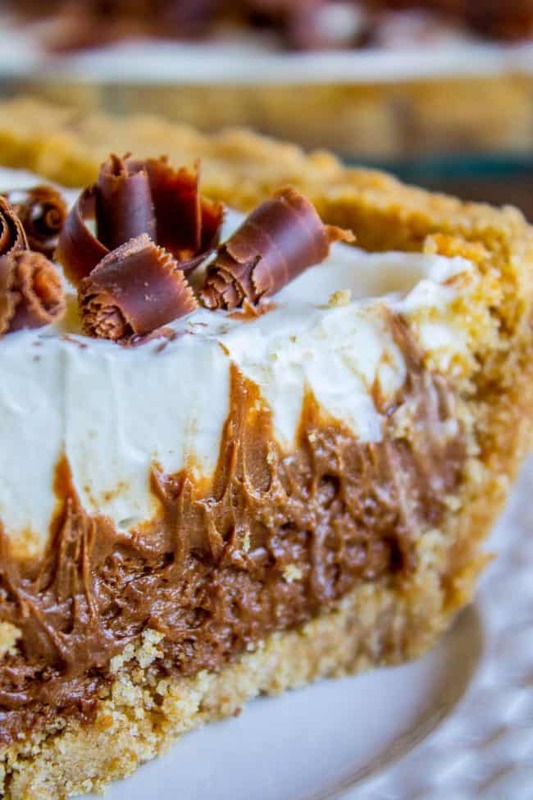 It is the classic recipe with a few enhancements: a really thick graham cracker crust (no pie shells here, please) and stabilized whipped cream so that your pie looks perfect even on day two. You must try it!! 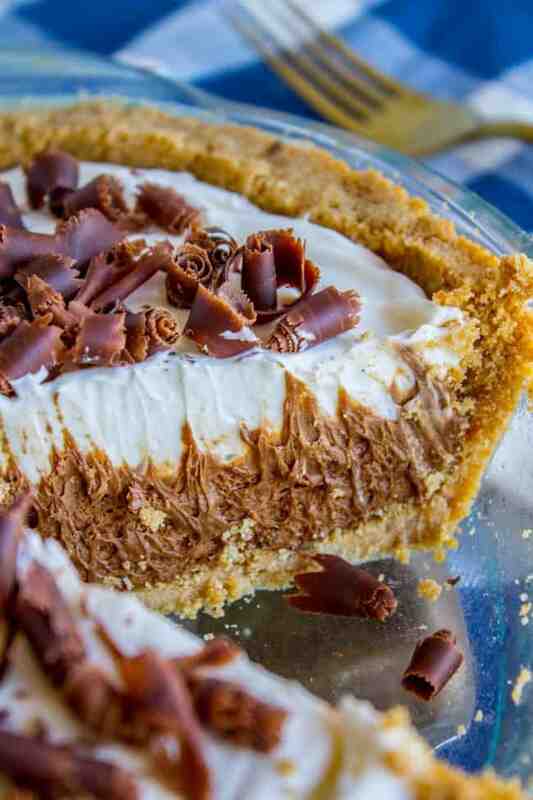 I’m sending you this [French Silk Pie] recipe my mom made all the time when I was growing up. She made this in a graham cracker crust though, not a regular pastry crust. 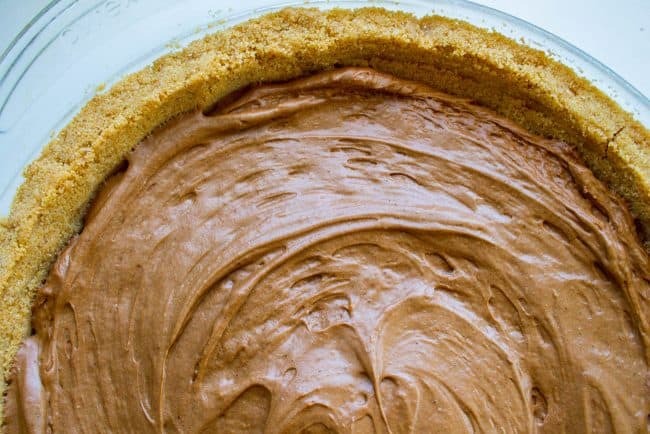 It’s much better in a graham cracker crust. 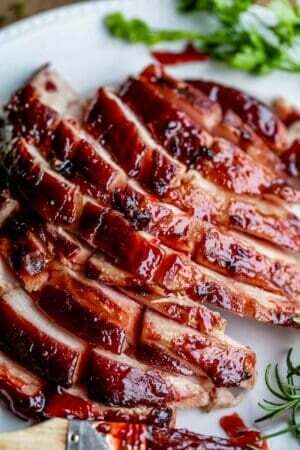 It’s super easy, very very rich and really delicious. I’ve made it a lot ever since I left home. It was a favorite dessert in college and our early married life because I usually had everything on hand in my pantry. I think you’ll love how delicious it is. I was looking through my hand written recipes and found this one. It’s right next to Almond Roca Bars! Be sure and serve it with whipped cream. Pretty convincing recommendation right?? At least it was for me! (Those of you who are long time readers know that when Kris gives you a recipe, it’s gonna be a good one.) This pie does NOT disappoint. It’s one of those classic recipes that you’ve heard of but might never have taken the chance to try (it was for me). Well folks. It’s a classic FOR A REASON. You know how you can keep Cool Whip in the fridge for a couple days and it won’t deflate or get separated? Real whipped cream breaks down when it’s not perfectly fresh. I used cream cheese whipped cream because I wanted the whipped cream to look and act more like Cool Whip, but not actually be Cool Whip. (Not that I have anything against Cool Whip, actually. Stuff is delicious.) But I wanted to go au naturale here, mostly because this pie has “French” in the title and I thought the entire country might come swooping down on me. 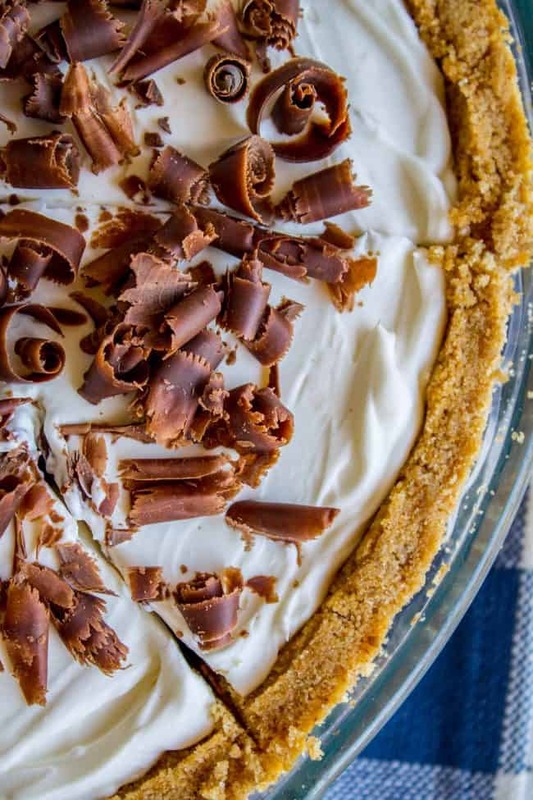 Just kidding, no it’s really because the whipped cream is a star ingredient in this pie, not a background filler ingredient, so you really want the perfectly creamy-vanilla flavor to shine, you know? Sorry Cool Whip, you are really good but just not French Silk level. I almost forgot to talk about the eggs! The eggs are not cooked in this recipe. (GASP!!) So maybe don’t feed it to your great grandma. OR, use farm fresh eggs and you are pretty much guaranteed to be safe. If you are really, really worried about it, you can pasteurize your own eggs. One more thing, don’t forget the chocolate curls! They are really easy to make and totally amp up the impressiveness of your pie. Enjoy! One year ago: One Hour French Bread << my fav! Press the mixture into the bottom and up the sides of a pie pan. I like to use a glass or a measuring cup to press it into the corners. Bake at 350 for 10 minutes. Put it in the fridge or freezer to cool. 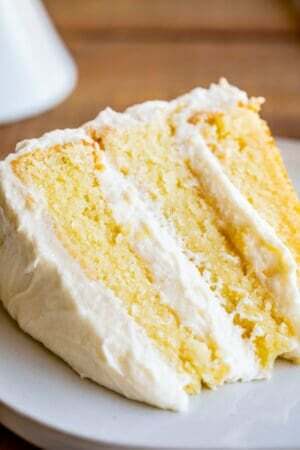 If you don't feel like baking, just stick it in the fridge to chill while you make the filling. Now make the filling. Add the unsweetened chocolate to a small bowl and microwave in 30 second increments until it is mostly melted, then stir until completely smooth. Set aside to cool. 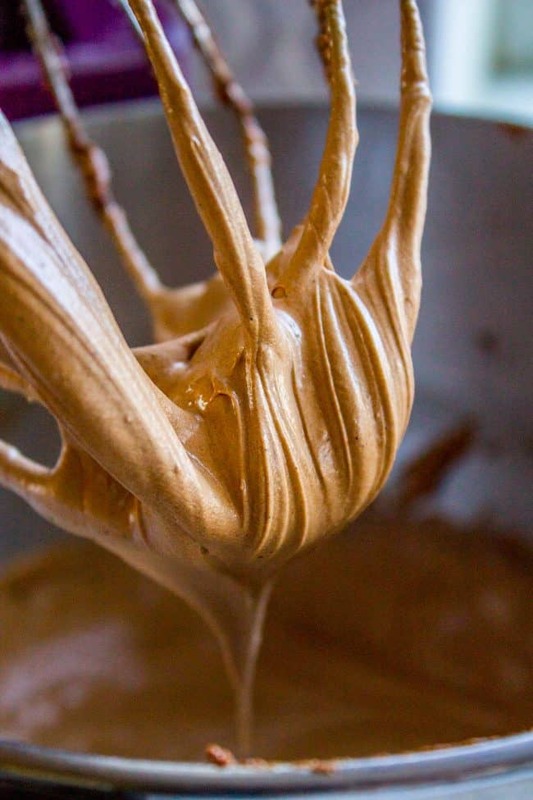 In a large bowl or stand mixer, beat the softened 1/2 cup butter until light and fluffy, 1-2 minutes. (If you are using a stand mixer, use the whisk attachment, not the paddle.) Make sure to scrape the bottom and sides. Add 3/4 cup sugar and 1 teaspoon vanilla. Beat well, scraping sides. Once the chocolate is cool (completely cool! You don't want to curdle your eggs!) add it to the bowl and mix it in, scraping the sides. Add the first egg. Beat on medium speed for 5 minutes. Set a timer! Don't skimp! If you don't beat it long enough it won't get fluffy. Stop to scrape the sides at some point. Add the second egg. Repeat the same process; scrape at least once and beat 5 minutes. If your crust has cooled completely you can pour the filling in now. Otherwise cover the bowl and put it in the fridge until the crust is cool. 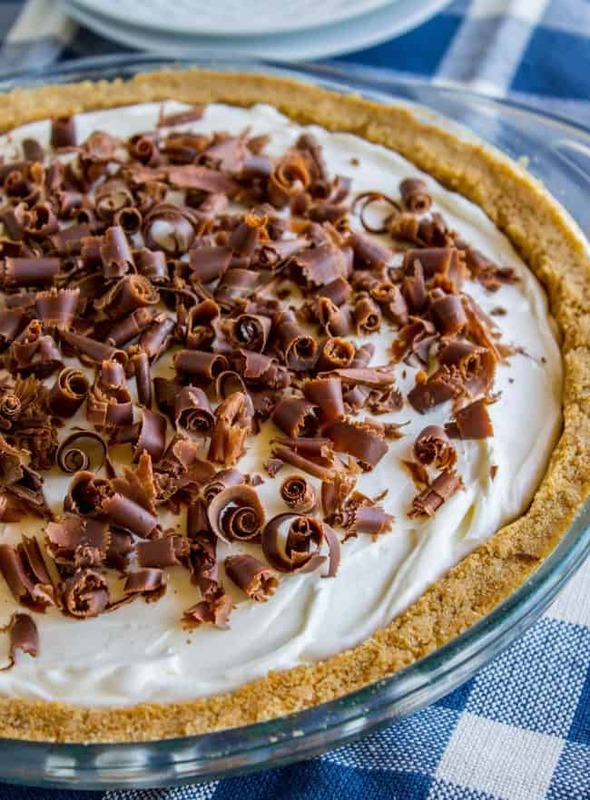 Once you put the filling in the crust, you can either cover tightly and refrigerate, or add the whipped cream right away. Adding the whipped cream ahead of time does make it a little more tricky to cover tightly, but it's not the end of the world. To make the whipped cream, add the cream cheese to a clean bowl or stand mixer. Beat (with the whisk attachment, if you have one) until it is completely smooth with no lumps. Add the powdered sugar and vanilla and beat well. Add about half of the cream and beat until incorporated. Add the remaining cream and beat on high until stiff peaks form. The chocolate curls are so easy to make if you have the time. In a small bowl, add 1/3 cup chocolate chips and the shortening. Microwave in 30 second intervals until almost melted, then stir until smooth. 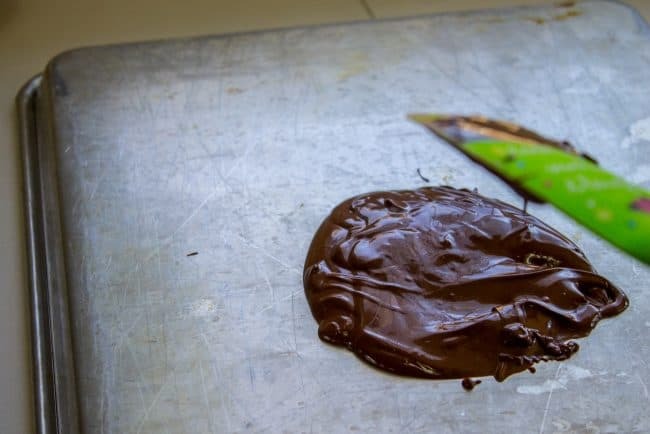 Use a spatula to spread the chocolate in a thin layer on the back side of a baking sheet. Freeze for 5 minutes (or refrigerate for 10-15.) When the chocolate is hardened, use a tool to scrape curls off of the chocolate. 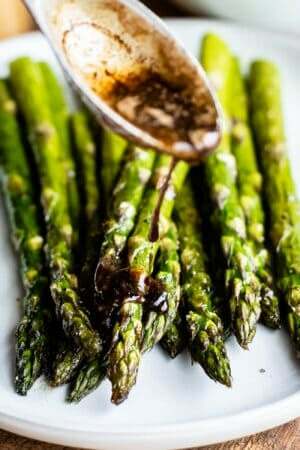 You can use a paring knife, a metal spatula, a vegetable peeler, etc. 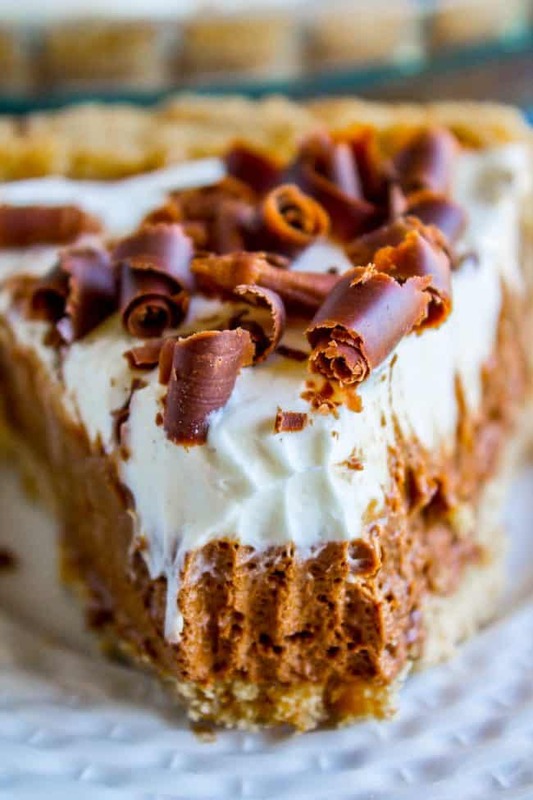 Decorate the whipped cream with the chocolate curls! *This is exactly one and a half packages, or 13.5 full graham cracker sheets. No need to measure; add one full package (9 full sheets), then open another package, break it in half and toss it in. **calling for 9 tablespoons of butter is like, so annoying. sorry everyone. It's one tablespoon more than one stick. I almost just used one stick, but in a fit of excess I threw it in from the butter dish on my counter. Feel free to just use one stick. I think your pie will be fine. ***You don't have to use cream cheese if you don't want to! Skip it and make regular whipped cream. Increase the cream to 1 and 1/2 cups and just beat the heck out of it, adding the sugar and vanilla as usual. 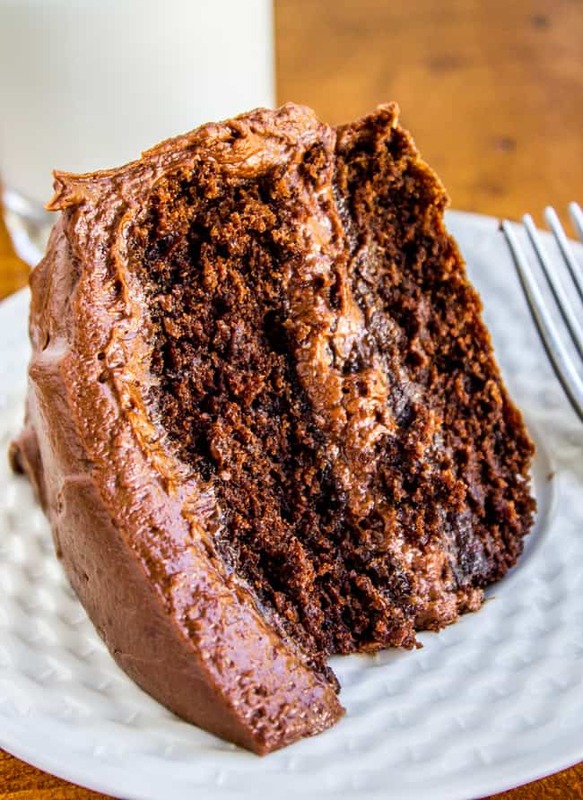 You might like these other chocolatey recipes! 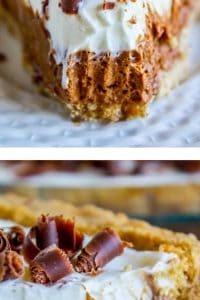 Chocolate Honey Chiffon Pie << this is very similar to today’s recipe but has a subtle honey flavor! It is so good! Also you can read about the time I couldn’t find the elevator button at Ikea. Riveting stuff, guys. 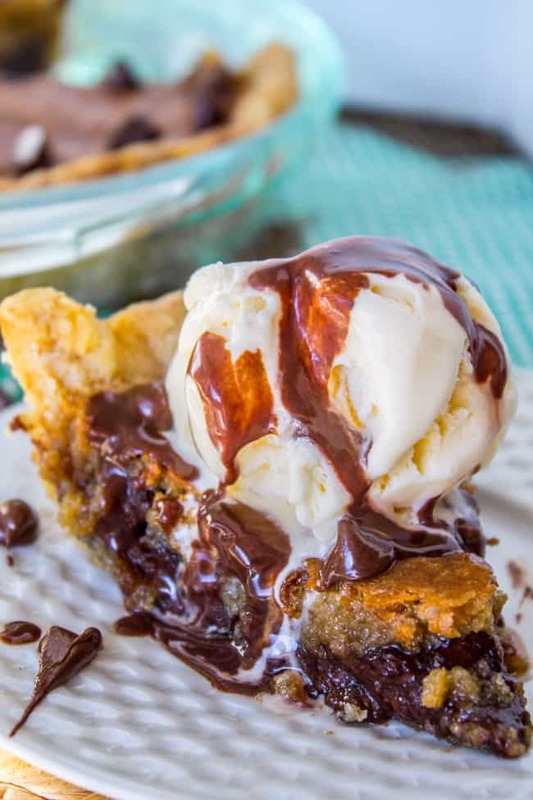 THE Chocolate Chip Pie << a Nestle classic that will blow your mind. The Best Chocolate Cake I’ve Ever Had << no lie. 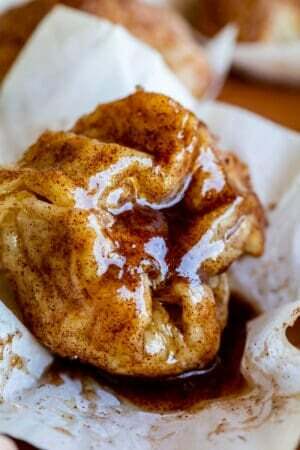 Other French Silkish recipes you will love! in a 9″pie pan , Now I am making it for a special diner and don’t know if I should use the larger pie pan. Sooooo good ! Hi Cindy! I’m so glad you liked it! I used a 9 inch pie pan too, so that’s perfect! I think a 10 inch would be fine too though. 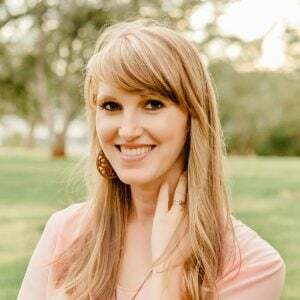 Thanks Trista! So glad you liked it. Thanks for the review! Oh, Karen… this looks amazing! Really, really, wanting some right now! Oooh so need to make this! My favorite part is that it isn’t a pie crust, I’m not a big pie fan mainly because I don’t like pie crust. This looks so good. Have you ever tried stabilizing your whipped cream with marshmallow cream? What! No!! Have you?? Does it work the same?? That’s geniussss. as I was editing these photos I kept getting hungry for something s’mores…. Not yet but I think I’ll try it with this pie. My kids don’t like cheesecake flavor (morons) so the marshmallow should help that. I’m thinking I’ll make two though, one with the cream cheese and one with marshmallow. I am always in the mood for smores! Pretty much my favorite food. okay you have to report back and let me know how it goes! Honestly if you don’t tell your kids you put cream cheese in the other one, I bet they won’t notice. No one I served it to did. It’s a very subtle flavor. Thanks so much for posting this Karen! I am looking forward to making this. It’s been years and I’d almost forgotten about this recipe from my mom when I found it and sent it to you! Thanks for sharing Kris!!! What would I do without all you and your mom’s wonderful recipes! !